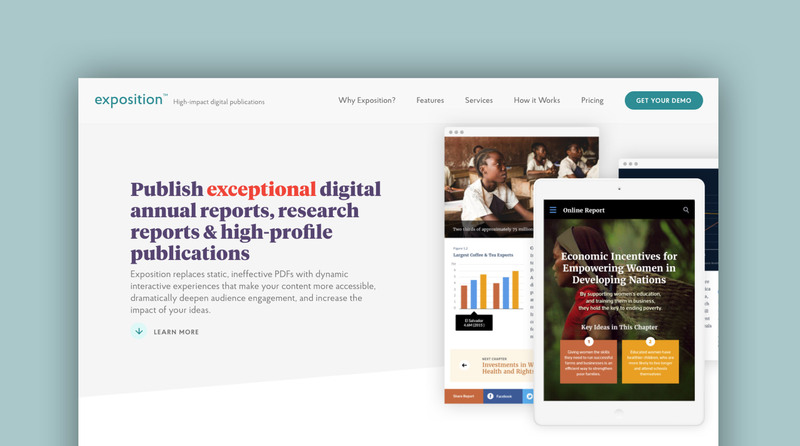 My friends at Constructive created a platform that brings together their many years of experience with online reports (specially for nonprofits) into a semi-turn-key digital publishing solution. 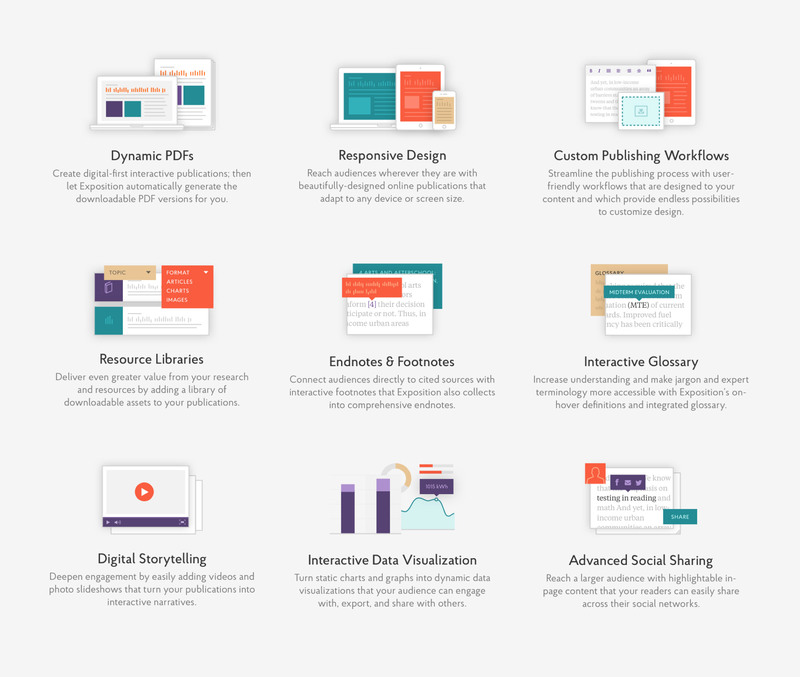 From glossaries and footnotes to interactive data viz, it's a complete solution for online reports and magazines. 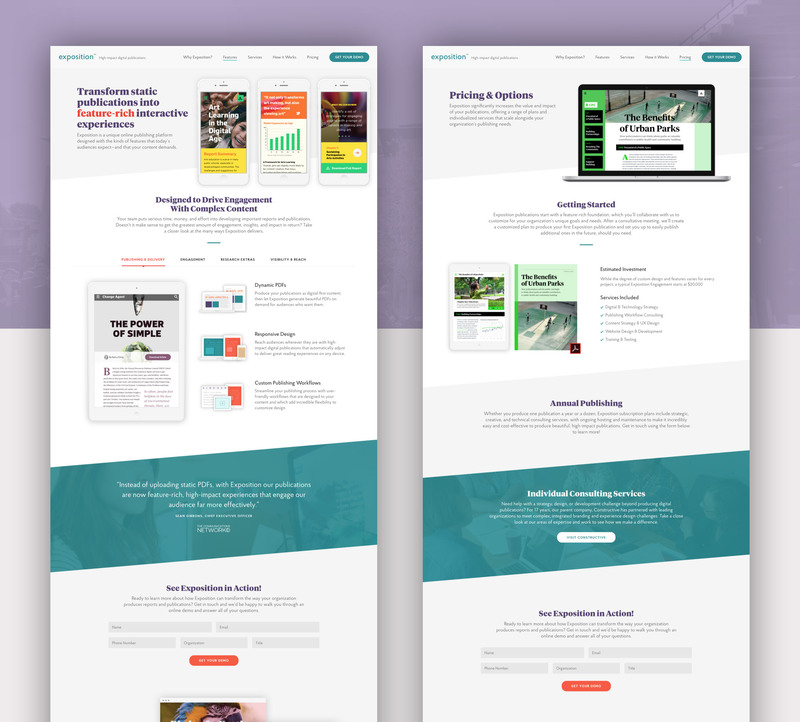 I led the visual design of the Exposition website, which was a bit of a departure from most of the nonprofit work I do, using more of a SAAS aesthetic. The work entailed putting together a series of simple mini-icons (several of which were adapted from the excellent Nucleo collection) as well as creating a series of nine custom illustrations to highlight the platform's features. Print and digital annual reports—a bright and bold look for the nation's leading advocate for sensible drug policies.